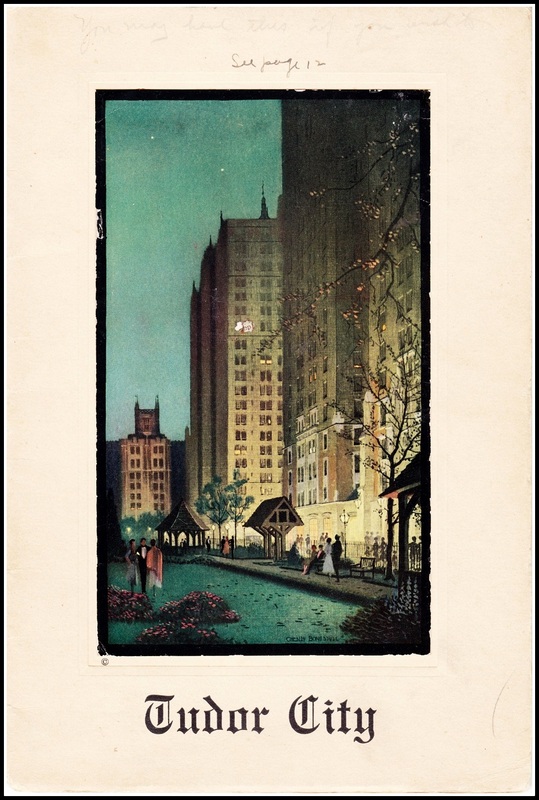 Plate 33, showing the area between Third Ave and the East River, from 42nd to 47th Sts. 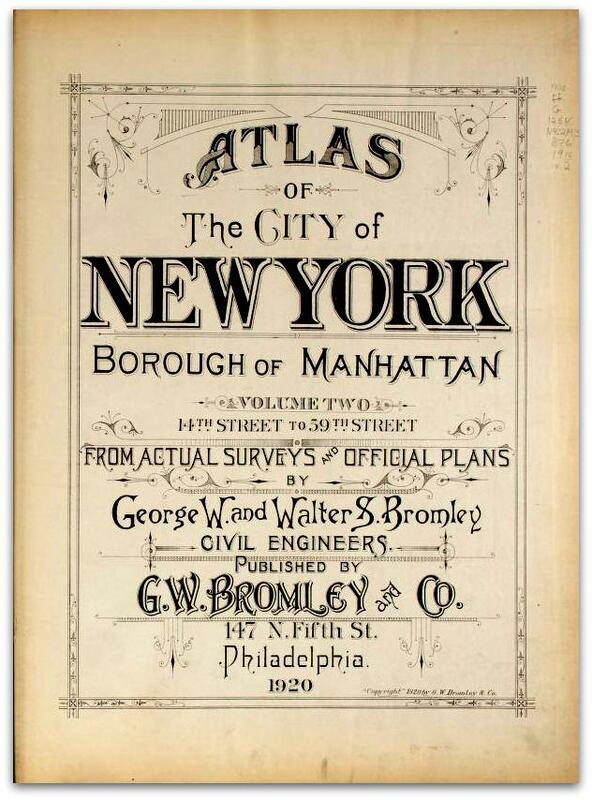 Today, a selection from a Manhattan land atlas published by G. W. Bromley & Company in 1920. 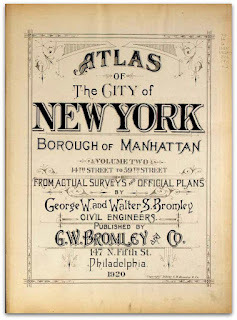 Bromley was a well-known cartographer, and this atlas was a fire insurance map, delineating lot numbers and dimensions, building heights, and construction materials. (In the maps below, pink indicates brick buildings, while yellow signifies wooden ones.) Highly prized today, these fire insurance maps are among the most detailed city maps ever published. 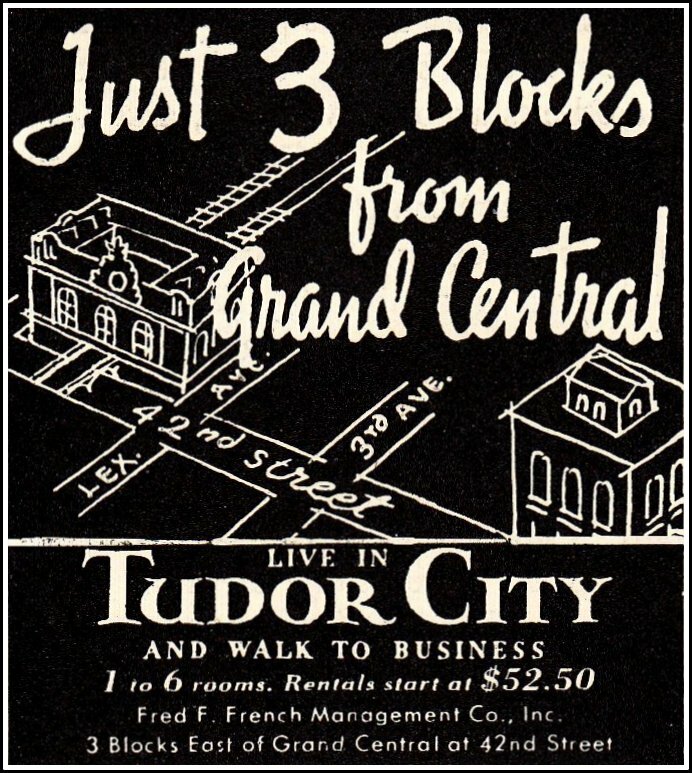 Below, a close-up look at the blocks that would soon become Tudor City. We've tipped in a few street numbers for easier orientation. Click on the maps to enlarge. Figure One: Atlas detail showing the land that lay between Second Avenue and the East River, between 42nd and 44th Streets. 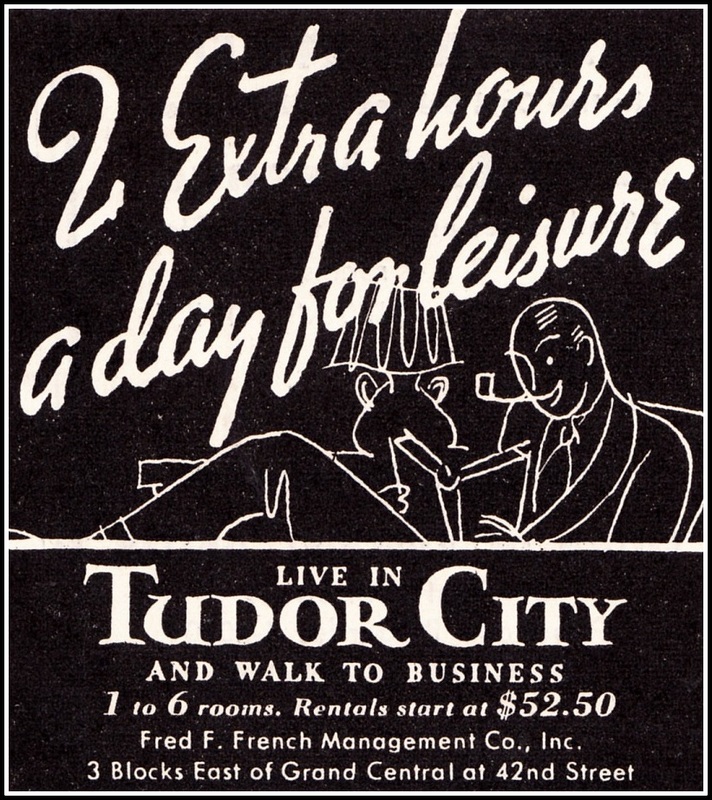 There's plenty of noxious industry along the riverfront at this time thanks to United Dressed Beef, the Lehigh Valley Railroad Freight Station, the NY Veal & Mutton Company, and the New Amsterdam Gas Company. The land today is home to the United Nations. Figure Two: A closeup of the preceding map showing the area that would later house The Cloister, The Hermitage, The Manor and No. 45. 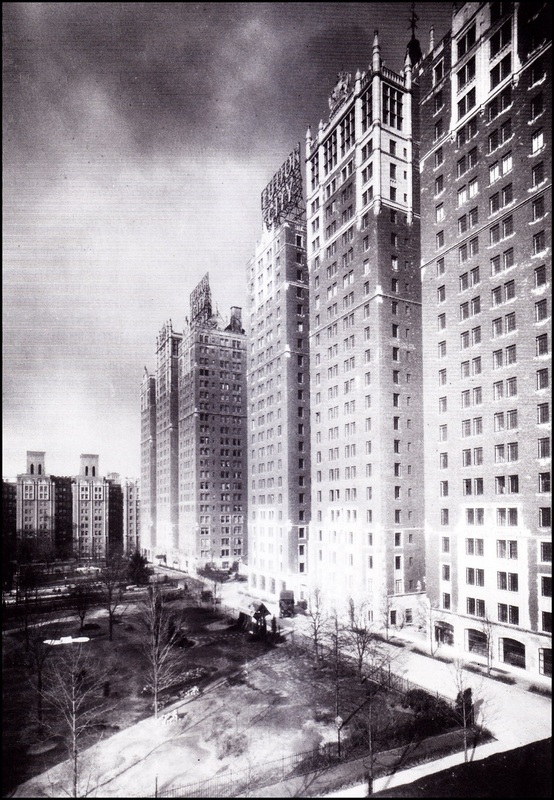 The unfortunately named Hospital for Ruptured and Crippled Children on 42nd Street was later replaced by the Ford Foundation. Three buildings on this map still stand, the rowhouses at 336-338-340 E. 43rd Street. Figure Three: Showing the area from Second Avenue to the river, between 40th and 42nd Streets. East of First Avenue is the New York Edison steam plant, today the site of a playground, a ventilation building and an enormous vacant lot. 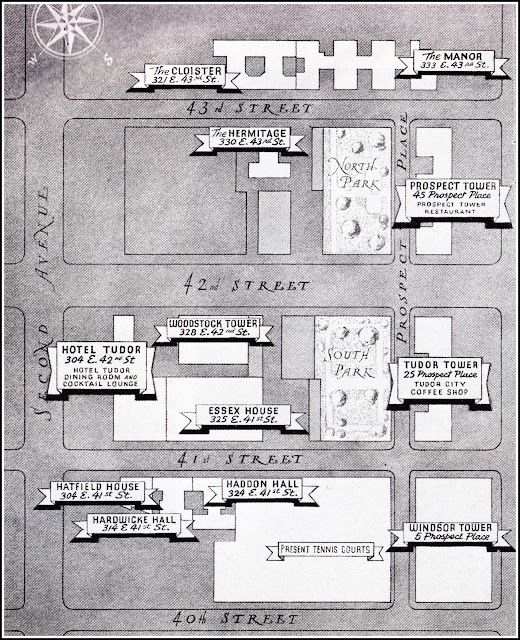 Figure 4: Closeup of the preceding map showing the area that would later be home to Hotel Tudor, The Woodstock, Essex House, the Three H's, No. 2, and No. 5. Two buildings on this map still stand, the Church of the Covenant and the rowhouse at 337 E. 41st Street. 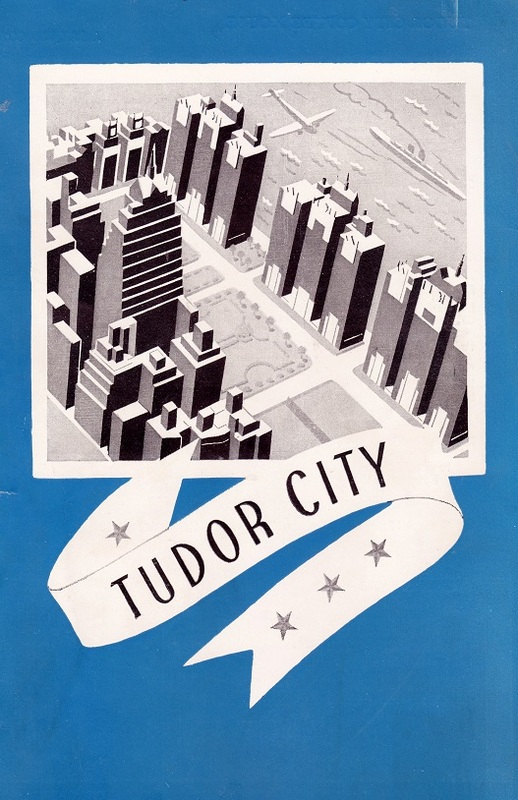 Surprisingly, Prospect Place (today's Tudor City Place) did not exist between 41st and 42nd Street at the time ‒ the map shows a solid wall of buildings from 1st to 2nd Avenue ‒ although the road reappears between 40th and 41st Streets. 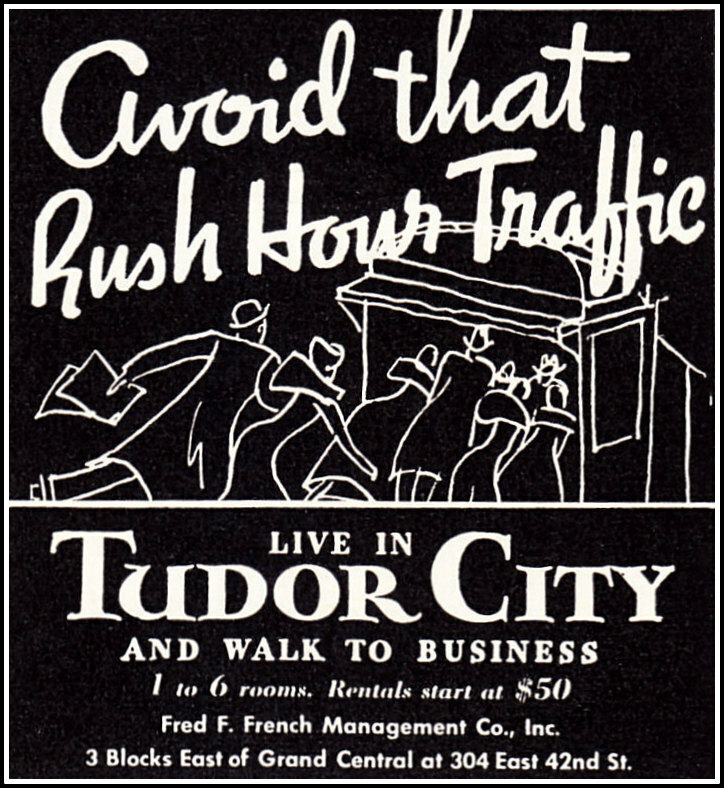 Following the tear-down of most of these buildings for Tudor City, the French Company made Prospect Place a continuous three-block thoroughfare.